SCHOOL UPDATE: Physical Education Programs are now available so you can even book in for the whole term! Do you want to broaden the horizons of your students? 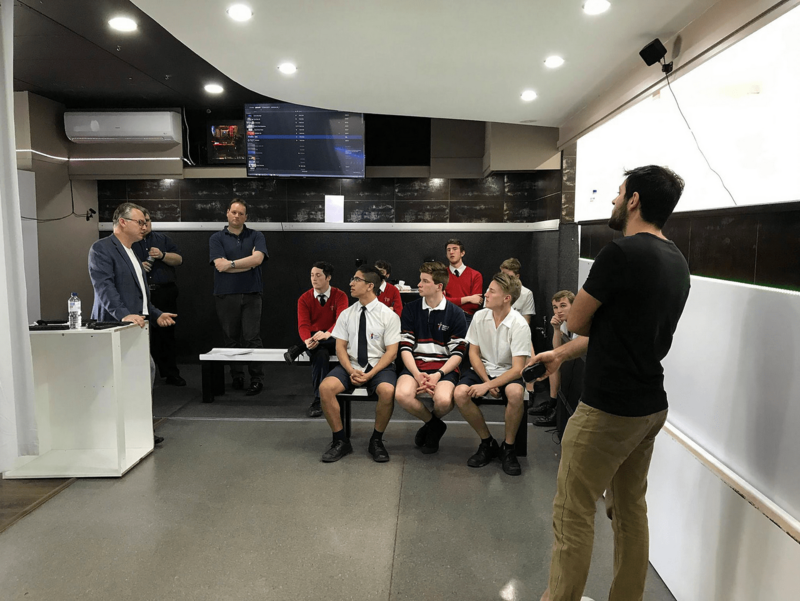 Look no further than Unreal VR where we specialise in connecting your prescribed learning outcomes with the latest in cutting edge virtual reality technology. With custom experiences and sequences to fit your needs, both you and your students will be thrilled with your experience. Common requests include school topics based on art, design, astronomy and biology. But if you’re looking for more, please let us know as we have a growing range of options. Plus our recent expansion in 2018 (doubling our capacity) means we can very likely accommodate your entire class in one booking. Simply provide a few details in the form below and one of our experienced directors Matt, Paul or Daniel will be in touch to discuss your needs in more detail. Please provide some details below and we will send you a provisional booking and quote. What learning outcomes would you like to achieve?